I’ve tried a few of the CSV import tools that are available for WooCoomerce. 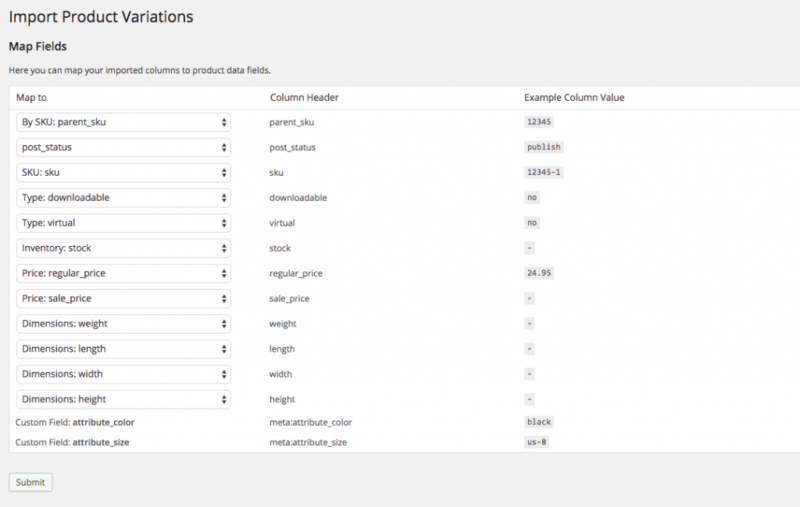 None of which are remotely close to being as easy to use as the WooCommerce CSV Import Suite. If you’re like me and have to deal with importing hundreds or thousands of products it can become very cumbersome to update product categories, taxonomies, variations, attributes and more. I’ve tried different CSV import plugins however none came close to the ease of use and functionality of the CSV Import Suite. Originally I purchased the Woocommerce CSV Import plugin from allaerd.org but found it extremely frustrating to work with and gave up on it. 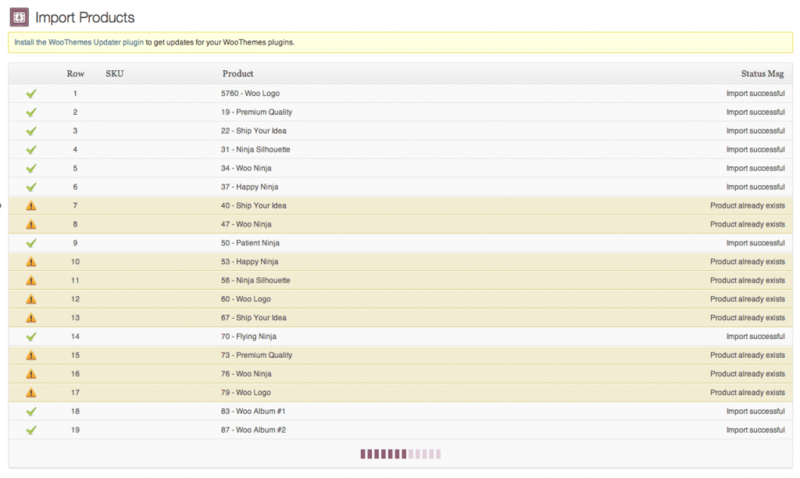 The CSV Import Suite plugin was a godsend in comparison. It was user friendly and I was able to figure it out quickly without even looking at the documentation. 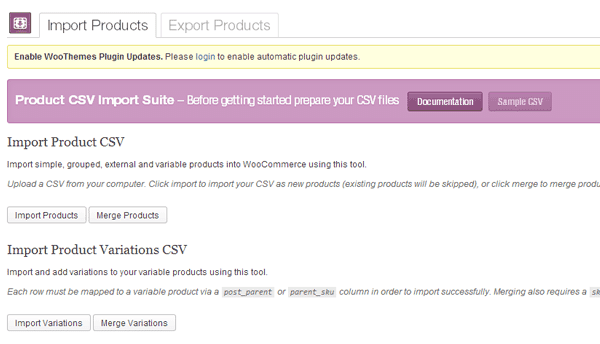 You get what you pay for and if you want to save yourself from frustration get the WooCommerce CSV Import Suite. The CSV Import plugin not only saves you time from managing all the product data through a CSV but if you have a warehouse that is willing to work with the CSV files and willing to make the inventory updates then you can have a more accurate inventory count on your website. Of course ideally you would want something more sophisticated that communicates with your warehouse’s inventory system but if you’re starting off then this is better than manually doing it through the dashboard. One lesson I learned was that you need to pay attention to the field mapping before hitting the import button. Originally I had all the products manually entered into the system. After installing the plugin I formatted a CSV file however it included the warehouse product names. When I had imported the file it had overwritten all the meaningful product names. This could have been avoided by either removing the column or choosing to avoid mapping that field upon import. Just as easy as it is to import the CSV files you can also export data into a CSV file format too. When you’re done massaging the data you can re-import it again. Currently this plugin is sold at www.woothemes.com for $299. A little pricey but worth it if you are managing a large woocommerce database. Buying from woothemes is also recommended because you can get full support and have access to upgrades. Alternatively if you want to test this out you can purchase the latest version for $5 from www.woogang.com.